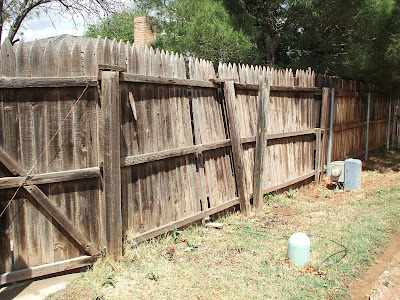 Do you think we need a new fence? I am just kidding! I'm just being dumb. It was in such awful shape and was barely holding on through our last wind storm. My husband is actually working on that this week. Which David are you rooting for?? 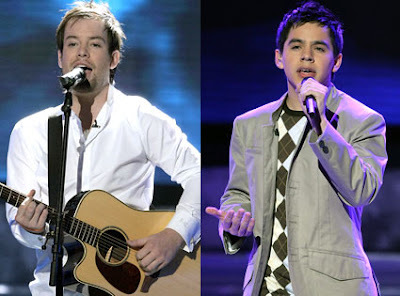 We're pulling for Archuleta here~he just has an angel voice, and seems like the sweetest guy. BUT, I do love Cook's Always Be My Baby. So, vote in our very official poll on the side here and we'll compare notes after the finale! Ultimately we are Archie fans, but I like Cook too. My brother-in-law is thrilled with all the attention this is giving Murray--he was even on AI as they showed the trip home with that crazy mayor! David is a nice as he sounds too! I was hoping for a write-in on the poll (I was going to vote for Hyrum), but we're excited to see who actually pulls it off. We are pulling for David A., but I think David C. will actually pull it off. My mom hopes Archie DOESN'T win only because she doesn't want the fame to change his innocence and goodness, like Hollywood has a tendency to do... hmmmm. And in Deseret News last week when asked if he was preparing to serve a full-time mission, he said it depended on whether he was still singing or not by then... his response made me disappointed, but I still hope he wins, even though my mom has a good point! Archie all the way baby! I am excited for tonight, this is the only time I vote is the finale (if it's someone I like) so don't call me between 8 and 10. :)Cook is good too, but he just kind of bugs me. Anyway, we'll just have to see. Okay, we watched last night, and I think vocally, there is just no question of who's got the goods. When Cook sang, Hailey would cover her ears and say "all he does is yell!" Annalee, that's a good point about David A.~didn't think of that. Do you have an email for Liz?